Fuji Compressor Mfg. Co., Ltd. Fuji Electric Systems Co., Ltd.
Gas Turbine Generators Hitachi Ltd. Hasegawa Iron Works Co., Ltd.
Ishikawajima-Harima Heavy Industries Co., Ltd. Iwata Air Compressor Mfg. Co., Ltd.
Kaji Technology Corp.(Ex Kaji Compressor) Kawasaki Heavy Industries, Ltd.
Mitsubishi Heavy Industries, Ltd. Mitsui Engineering & Shipbuilding Co., Ltd.
Miura Niigata Power System Co., Ltd.
Sanwa Iron Works Co., Ltd. Shin Nippon Machinery Co., Ltd.
Shinko Ind. Ltd. Sinco Machine Mfg. Co., Ltd. 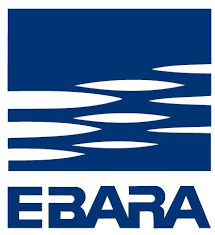 Steam Turbine Generator Ebara Corporation Suction Gas Engine Mfg. Co., Ltd.
Sumitomo Heavy Industries, Ltd. Taiko Kikai Industries Co., Ltd.
Takuma Tanabe Pneumatic Machinery Co., Ltd.
Tsubaki-Nakashima Co., Ltd Unozawa-Gumi Iron Works, Ltd.
Alfa-Laval, Japan Asahi Gauge Mfg. Co., Ltd.
Daito Kogyo Co., Ltd Fuji Paudal Co., Ltd.
Heishin Pump Works Co., Ltd. Hisaka Works, Ltd.
Hitachi Denshi Ltd. Hokuto Mfg. 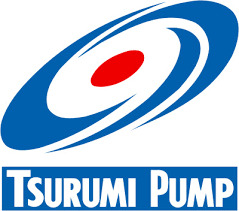 Co., Ltd.
Honda Pumps Hosokawa Micron Corp.
Iwaki Co., Ltd. Iwatsu Electric Co., Ltd.
Japan Machinery Co., Ltd. Kamui Co., Ltd.
Ketaka Co., Ltd. Kosaka Laboratory Ltd.
Kubota Coryedek-parca-poration Kuramoto Instrument Mfg. Co.
Kurose Co., Ltd. Mazda Pump Mfg. 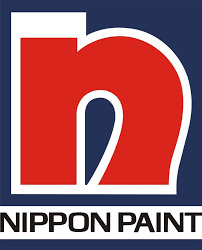 Co., Ltd.
Mitsubishi Kakoki Kaisha, Ltd. Nakamura Jiko Co., Ltd.
NGK Insulations, Ltd. Nihon Den-Netsu Keiki Co., Ltd.
Nihon Seiki Co., Ltd. Niigata-Worthington Co., Ltd.
Nitta Gelatin, Inc. Okawara Mfg. Co., Ltd.
OKS Corporation (=Osaka Kiki Seizo K.K.) Osaka Vacuum, Ltd.
Pacific Machinery & Engineering Co., Ltd. Sakaguchi Electric Heaters Co., Ltd.
Sasakura Engineering Co., Ltd. Satake Chemical Equipment Mfg. Ltd.
Seibu Giken Co., Ltd. Seo Koatsu Kogyo Co., Ltd.
Shimadzu Corp Shirakawa Seisakusho, Ltd.
Teikoku Machinery Works, Ltd. Tokai Konestu Kogyo Co., Ltd.